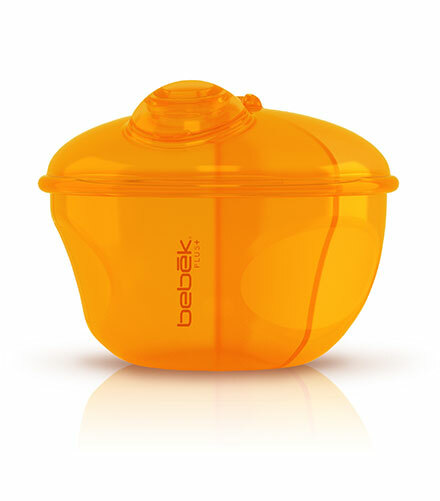 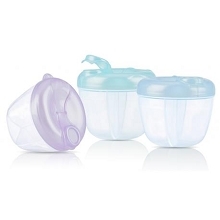 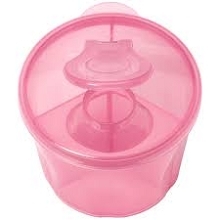 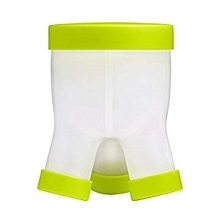 The Bebek baby Milk Powder Container features three handy compartments for three feedings. 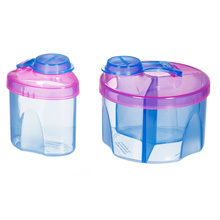 Features a spout that makes it easy to pour the powder into the bottle. 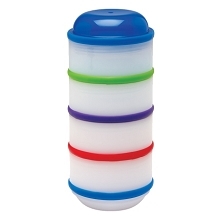 Ideal for travel and it's BPA/PVC Free. 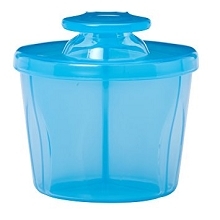 Made of Polypropylene.